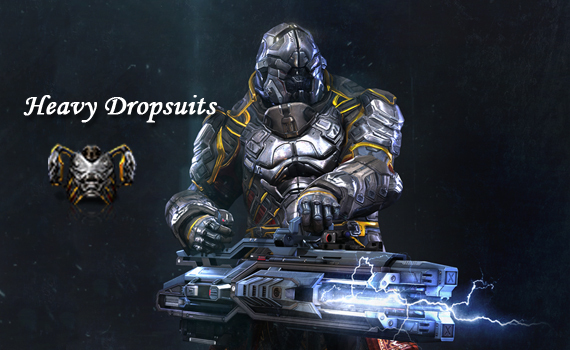 The Commando dropsuit is a variable combat unit capable of reacting to battlefield threats as they emerge. Built using a repurposed heavy frame, the suit is designed for maximum offensive flexibility. The streamlined frame does away with extraneous armor layers, using the augmented power of the exoskeleton to instead shoulder the weight and bulk of two light-class weapons. Interlaced with subframe wiring, the Amarr variant utilizes asymmetric power distribution to intelligently reroute power to shield and armor subsystems as needed, improving the output efficiency of modules used by these packages. The Commando is the ultimate suppression fighter. What the suit sacrifices in tactical versatility, it more than makes up for with flexible weapon loadouts that can counter any of the myriad threats an ever-evolving battlefield may present.